While many scenes can be found that contain true horizontal and vertical lines, there are few real diagonals. Camera angle and perspective can be used to create diagonals in photographs. I noted an example of this in the previous exercise, horizontal and vertical lines, where shooting from a low angle, along the length of the vertical column, it appeared diagonal. Freeman (2007) and Präkel (2006) both agree that of all lines, diagonals are considered to be the most dynamic. Compared with the relative solidity of horizontal and vertical lines, diagonals appear unstable. 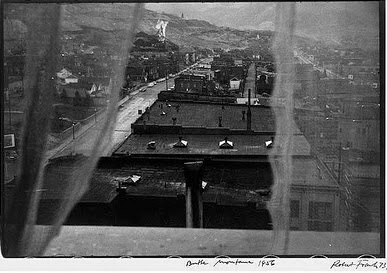 This instability creates unresolved tension which, in turn, brings movement, direction, speed and, overall, life to a photograph. The photographer is also offered more freedom when working with diagonals, as there is no need to align the line with the frame edges as one would with horizontal or vertical lines. Take four photographs which show diagonals strongly. I took this photograph while walking on a pathway underneath a high-rise building. 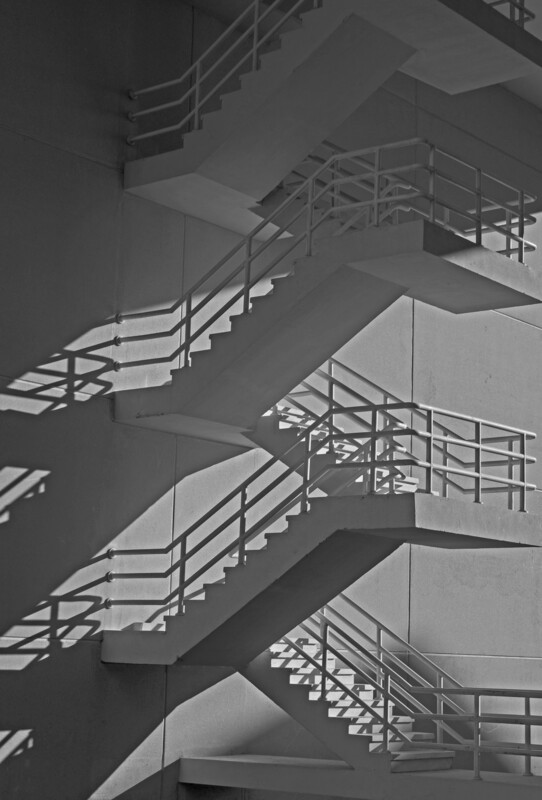 While the stairway viewed side-on is a true diagonal, the oblique angle the shot was taken gives the illusion that the horizontal elements are also diagonal. The shadows caused by the late afternoon sun extend the diagonal beyond the frame edge. The overall effect is a zigzag, which Präkel (2006) describes as being representative of concentrated energy. I noticed this cluster of trees in a local park. Had I taken the shot from a point a few metres you would see a row of trees planted in a linear fashion. However, from this angle, a diagonal arrangement can be noted. The wide-angle lens has created a diminishing perspective, which adds a sense of depth and distance. Again, I took this photograph while walking in a local park. 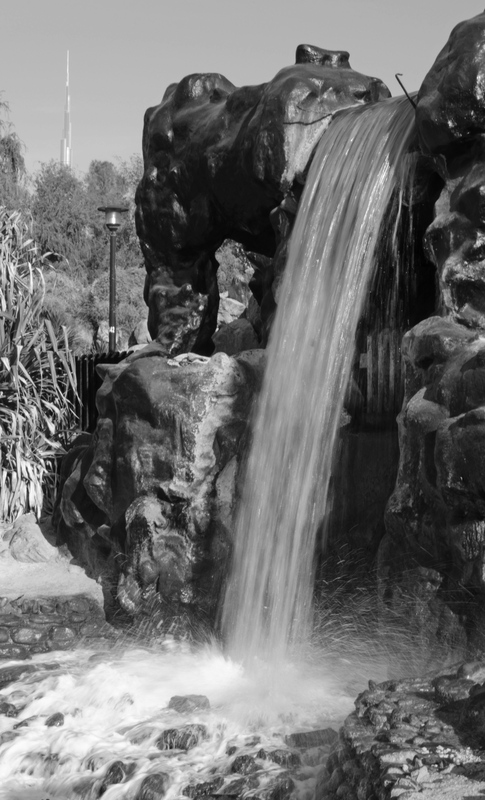 The water cascading could have been photographed as a vertical from a face-on position, but from this angle a diagonal was created. A slow shutter speed of 1/20s helped to blur the moving water, the whiteness of the diagonal contrasting well with the dark rocks, behind and on each side. I took this photograph with my Panasonic Lumix camera, which has a long telephoto range. This image was captured at a 207mm efl, capturing a series of parallel diagonals at reducing distances apart. Freeman (2007) notes the power of wide-angle lens in making diagonals appear stronger but also advises that telephoto lens can also be useful when photographing diagonals. 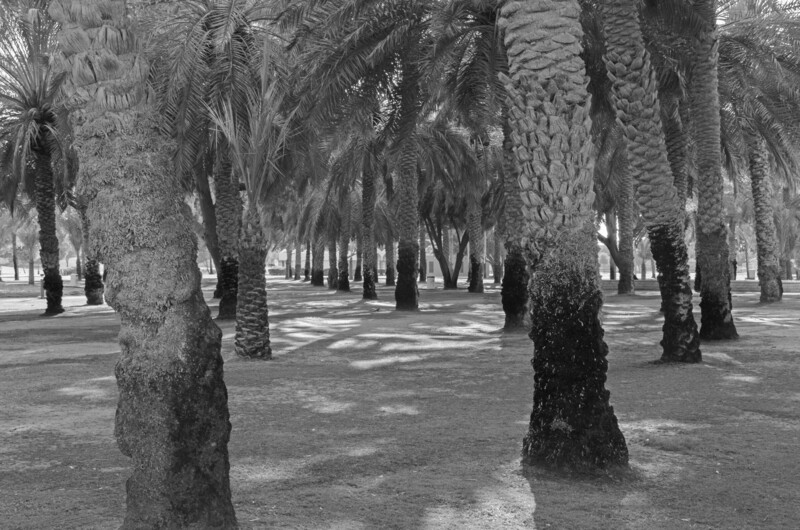 A long focal length can help stress a specific part of a diagonal by giving a selective view, as can be seen in the photograph above, ‘Sun canopies’. Diagonals, whether true or created by camera angles or lenses, insert a sense of direction and movement into a photograph. As a graphic device they add a sense of activity and catch and carry the viewer’s eye along their length. The following are a few examples of diagonal lines I came across whilst looking at photographs in some of the recommended TAoP course books. For ease, I took a quick shot of each with my mobile phone camera. 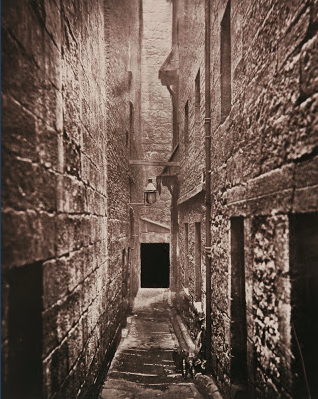 In this photograph the diagonals run along the length of the narrow passageway where the wall meets the ground and are repeated in the brickwork on the wall. The eye follows these lines towards the black void at the end of the alley. The diminishing perspective of the buildings and the length of the road create the diagonals here. The eye follows the length of the road seeking out details in the distance. There are multiple diagonal elements in this photograph, the kerb, the bench, the row of people, the bushes, and the pathway in the background. The mannerisms of the people on the bench and the people walking on the rear pathway all contribute to a sense of perceived movement and activity. The tree trunks create the strong diagonals in this photograph. They divide the frame into three sections, establishing a ‘frame’ within the frame in which the model is posing. Unresolved tension is created by the precarious angle the tree sits at. The diagonals here, created by the numerous tiles, contribute to a sense of depth and distance. They draw the viewers away from the woman to the darkness at the rear of the tunnel and the dark figure standing there. The horizontal lines of the kerb and path running away from the eye create the diagonals. 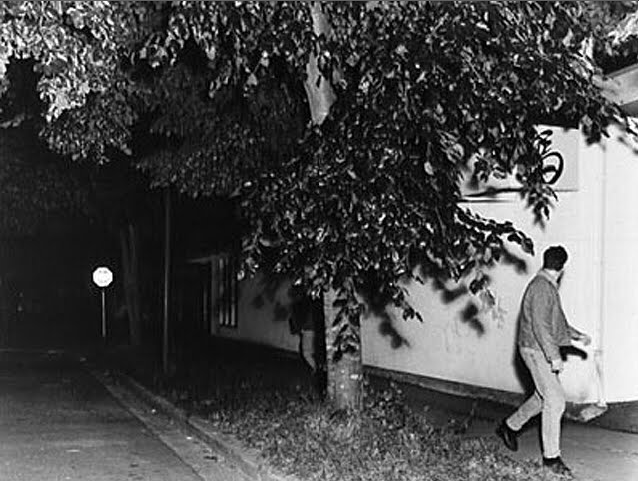 This creates a sense of depth and distance, which is strengthened by the darkness at the far end of the street. 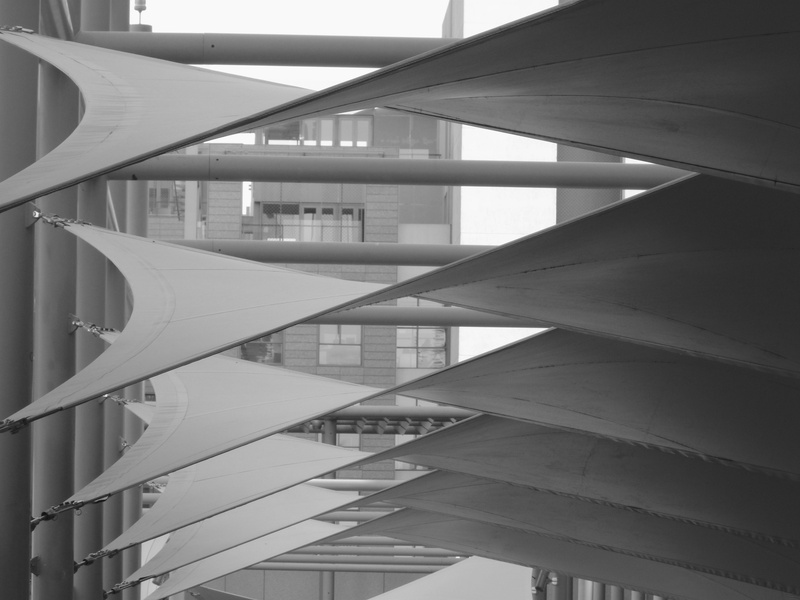 This entry was posted in 10b-Diagonal lines on January 18, 2013 by catherinefinniganphotography.